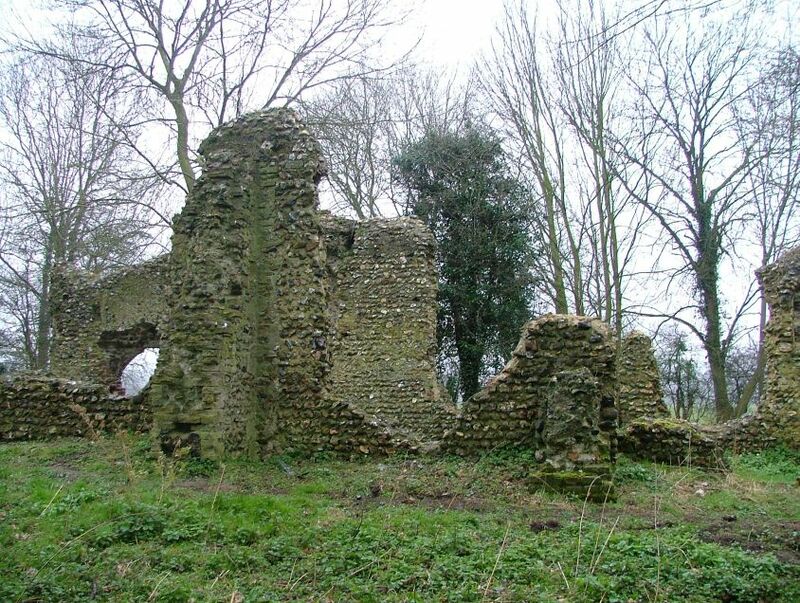 Peter suggested that late winter would be a good time to run this ruin to ground, and he was right. 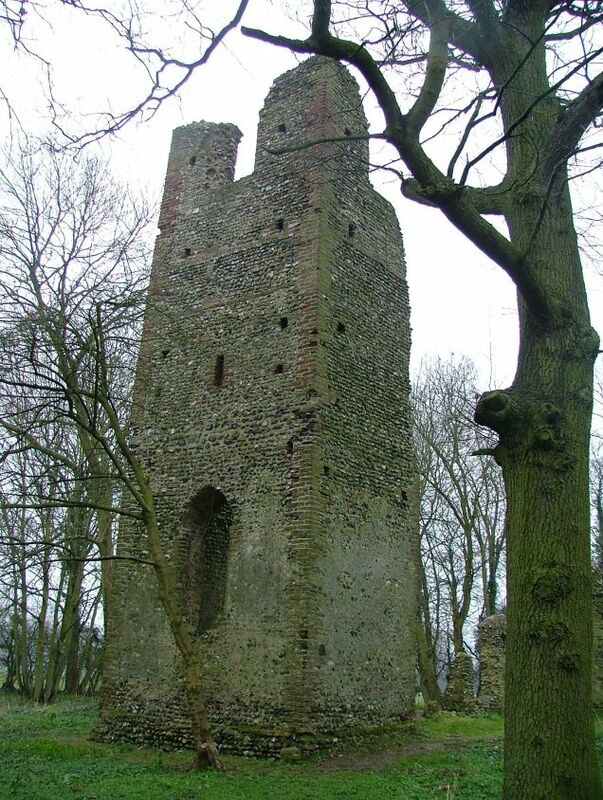 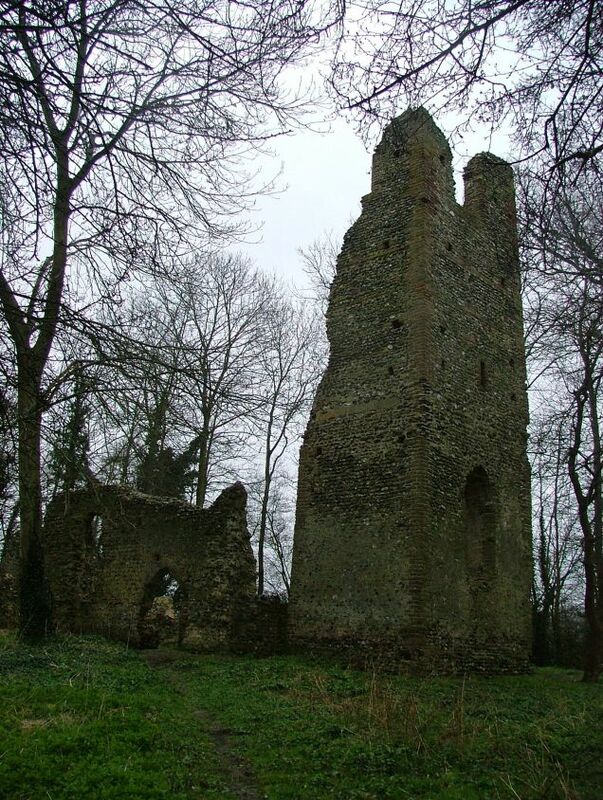 Although the remains are substantial, including the greater part of the tower, it is entirely tree-surrounded, and once spring had brought the trees into leaf it would be impossible to photograph. 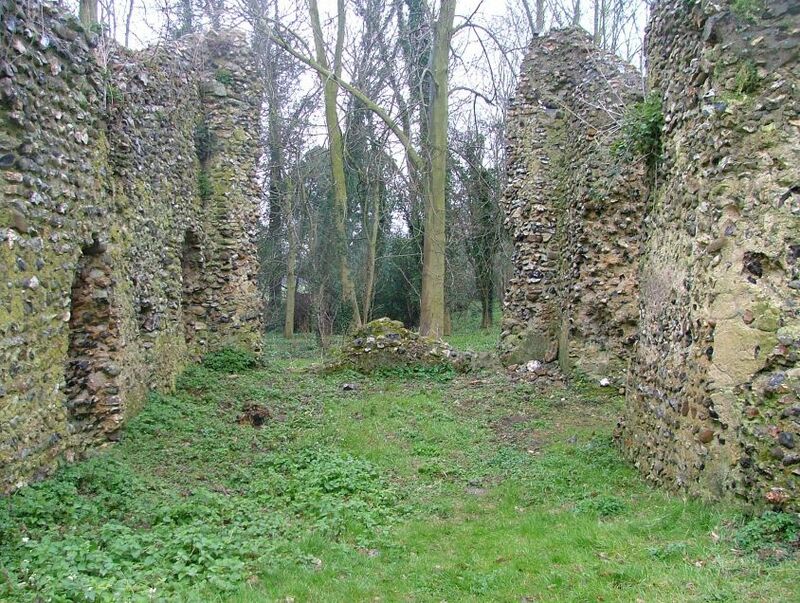 A small church, as most are around here, it was abandoned in the late 17th century, no obvious need being found for it after the re-establishment of the Church of England had to make some hard decisions about resources. 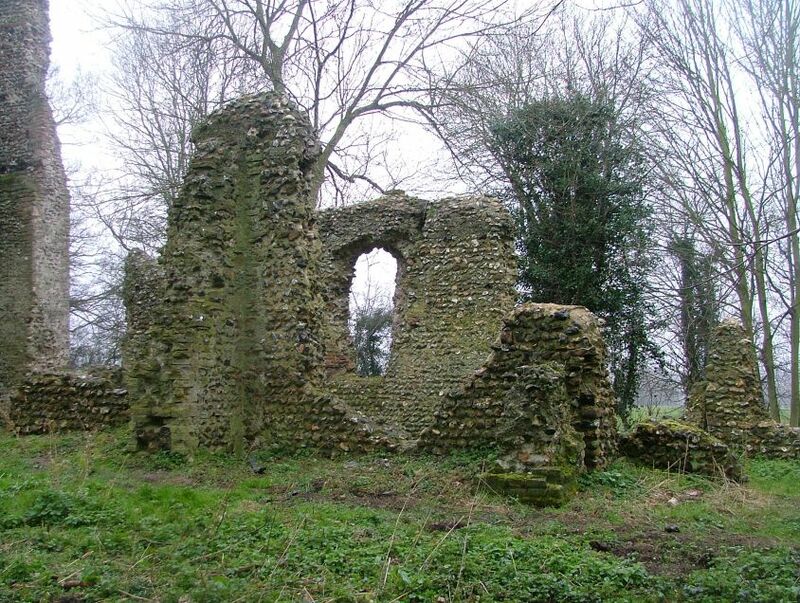 Even by then, there must have been hardly anyone living in Saxlingham Thorpe. 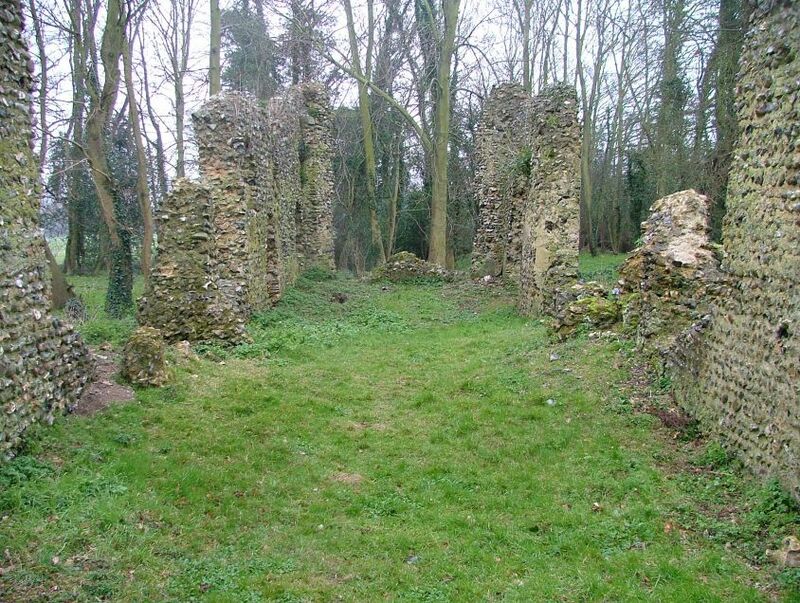 It must have been restored after this for some use, possibly agricultural, because the brick buttresses on the south side are surely 18th century, but today it is nothing but a run. 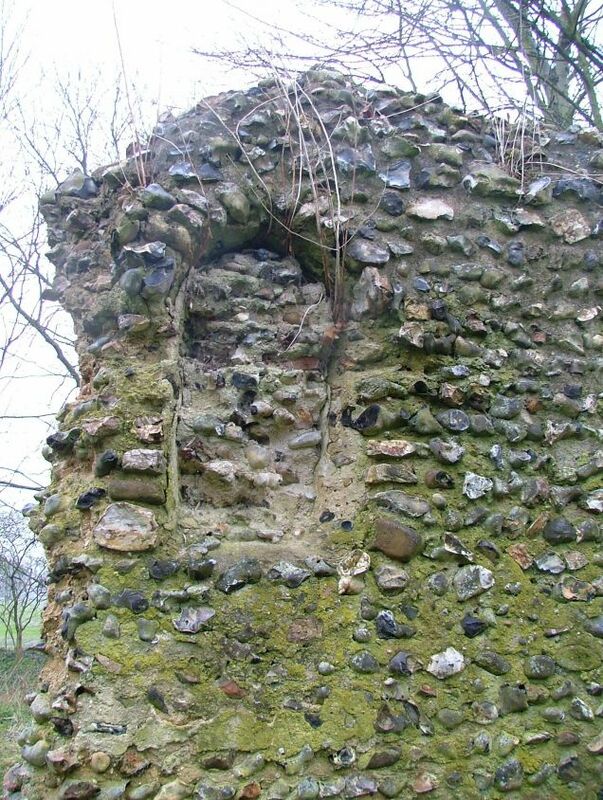 The walls are reduced to a few feet high, but the outline survives clearly enough, and in higher places you can see, for example, a Norman window splay, obviously filled in later in the medieval period, and an indent where a piscina must have been. 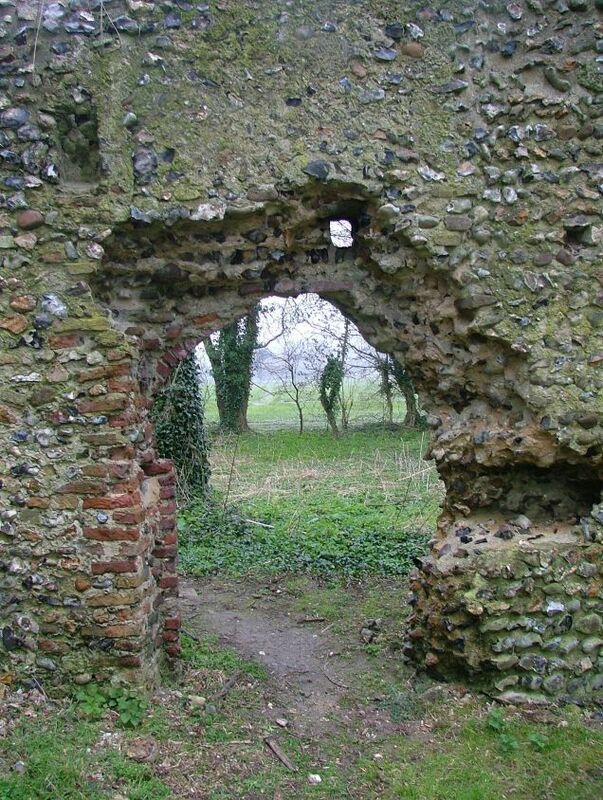 A footpath passes beside the church, and this place probably gets a fair few visitors. 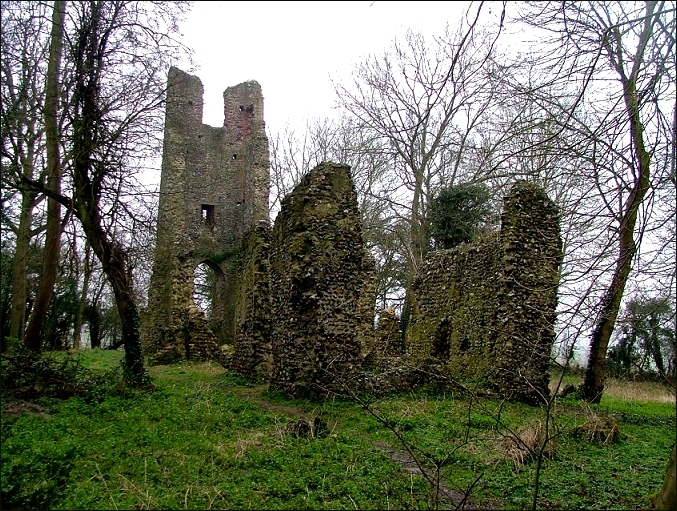 It is a satisfying ruin, familiar enough from others in Norfolk, but with a certain amount of character that allows you to imagine what might have been here once, and made it the touchstone of a now-lost community.